The APM Project Fundamentals Qualification distance learning is our cheapest and most cost-effective route to become an accredited project manager using online courses in project management. A great addition to your CV and project management career, however much experience you have. For many, attending a classroom-based training course is not an option for numerous reasons. CITI recognises how difficult this can be and has produced an alternative online way to achieve the APM project fundamentals qualification at a pace to suit your learning development. By opting for the APM project fundamentals qualification online learning route you can study at a time, place and pace that works for you. All material for this online training course is delivered electronically and it is one of the most effective and comprehensive ways to become accredited in project management to the APM project fundamentals certificate level. Access to the APM project fundamentals qualification online course for one project manager licence is £95 + VAT. If you want to purchase multiple licences please contact us to discuss your requirements and to obtain a quote. Multiple licence pricing applies for purchases of 20 licence or more. Please note exam fees are charged in addition to the course fee. When you are ready to take the APM project fundamentals qualification exam, a payment of £175 + VAT is required, and again this can be done by clicking on the online payment button near the foot of the page – and start your project manager career! 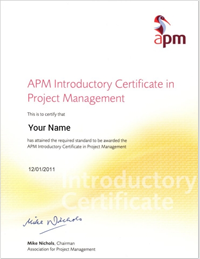 The APM Project Fundamentals (APM PFQ) is a qualification from the Association for Project Management (APM). It is designed for new project managers, team members or people who are interested in starting out in project management. It will introduce you to the fundamental principles, skills, methods, tools and behaviours of project management. 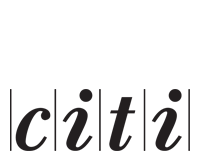 It is a highly practical online approach that can be applied to projects of any size. Build and develop a project team. The exam is a one hour online examination, and all of the information required to pass the examination is provided in our online learning. We have a 98% pass rate – and only 36 correct answers of the 60 questions presented are required to achieve a pass level. Assuming you are successful in the examination, you will gain the APM Project Fundamentals Qualification. This qualification is also a great stepping stone in your career learning development and is the next step to progress to APM Project Management Qualification to a practitioner level. We recommend that when you have completed at least 20 hours of distance learning you can consider booking your examination. However, different people have different learning styles and speeds, so we will not push you to take the examination on any given date – or impose cut-off dates on the elearning. Please be aware that you may need install third-party software to enable the proctor to test and check your system settings. It is advisable that you complete the examination on a computer system that is deemed suitable for public Internet access, adheres to your IT departments policies, and is not liable to disclose / damage / destroy any secure or private information relating to you, your organisation, clients or customers.